We have a binder full of original, hand written testimonials and feedback from customers and visitors! Next time you visit, please fill one out! 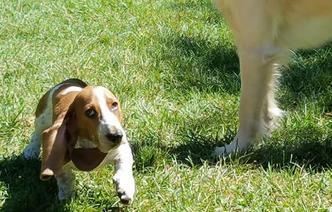 We love it when our customers stop back in to say hello and show us how great their puppy is doing. It’s very rewarding and even a little nostalgic for us. If you’d like to have some “bragging rights” posted, stop by and get your pic taken with your pup. We’ll post it for all to enjoy! The Parent family from Danville, NH sent us a photo from home! 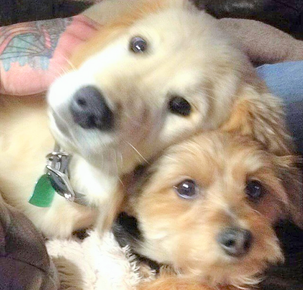 “Delilah” the Yorki-Poo went home in 2010 and and “Juno”, their Golden Retriever, was recently added to the family! Aren’t they just too cute!? 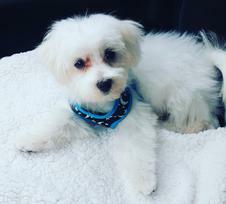 Meet Ollie! 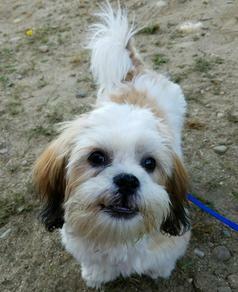 He is a handsome Lhasa Apso that has a snort like a pig and is growing up to be a handsome little devil! 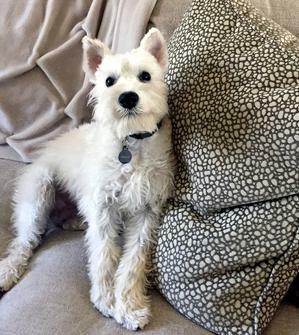 He went home in february and has been living happily with his moms and new sister, Luna! 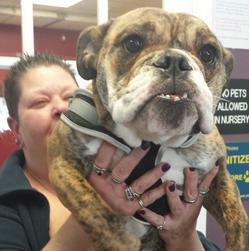 Here’s Stacey G. of Lynn, MA with “Mooki”. 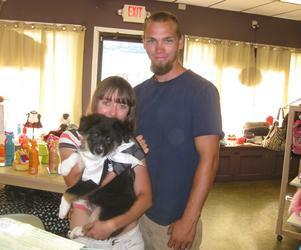 Stacey and her partner found and fell in love with him in October, 2013, and recently stopped by to say hello. Mr. Ouellet and “Dino” of Salem, NH stopped in to say hello! 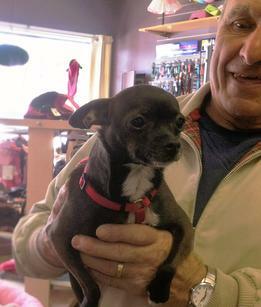 Mr. and Mrs. Ouellet took home their loving Chihuahua back in May of 2014. 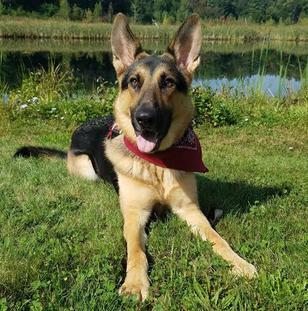 Just over a year old, Dino is growing up to be one handsome pup!